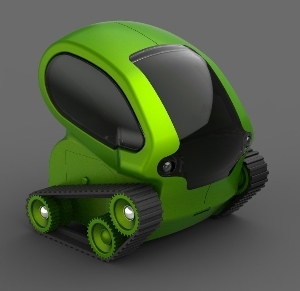 TankBot, debuting at this month's New York International Gift Fair, is a desktop toy that can be controlled by just a tilt of your iPhone, iPad or iPod Touch. The toy's three modes allow it to navigate mazes using IR sensors, roam and race in multi-player challenges. And best of all, its priced under $20 for some mid-afternoon office fun.